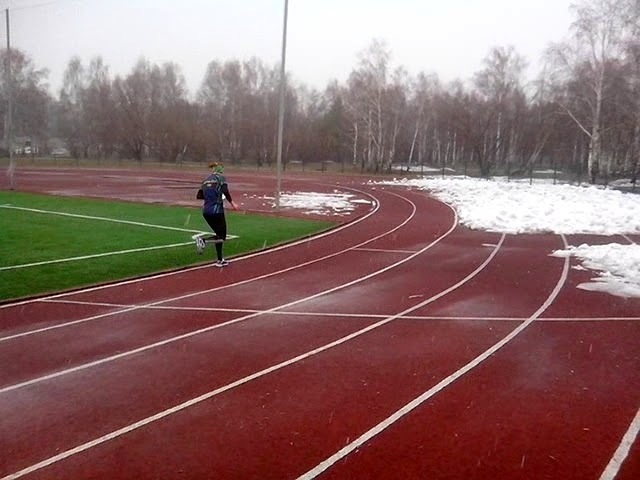 Yesterday Galina Vinogradova made 'Sprint physical capacity test' - she ran 4000 m at stadium with 20 times SI-punchings and Sprint map reading. The weather was tough - rain and snow were falling together, +2C air temperature. Galina started to feel really frozen after 2 kilometers of running! Two days ago I used shovel to clean some space at stadium. During test the first lane track was clean from snow all the way, but it was slippery. Average cadence was 98. Average pace was 3:30.8 min/km. HR was not so high this time (average is 181). If you want to perform same test, please, write in comments your times. 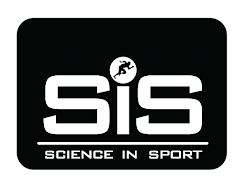 Why is such Sprint physical capacity test more suitable then 3000 m or 5000 m only running? 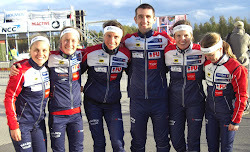 For sure you can run faster without punching and map reading - Galinas PBs are 9:31.65 (3000 m) and 16:18.58 (5000 m). 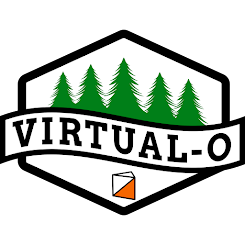 But during Orienteering you can not just push, you have to keep contact with map, safely navigate and you have to stop for punching (as long as tough-free systems are not adopted for all IOF competitions). 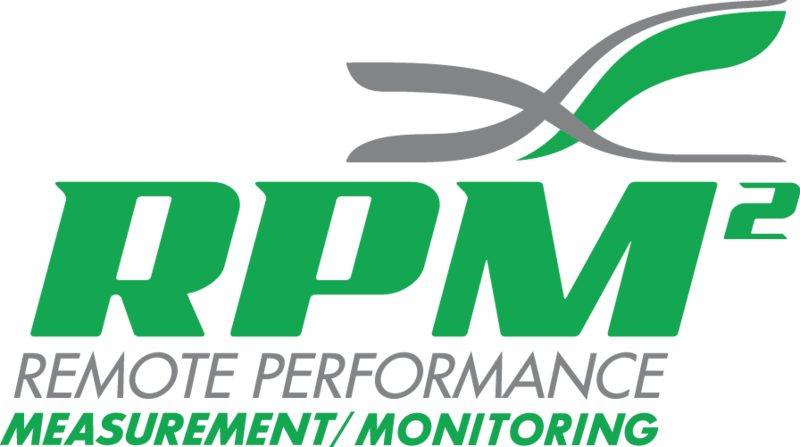 Main purpose of this 4000 m-test is to show you: what is your capacity to run at maximal speed, when you are still able to make good decisions and punch stations. Special analysis gave information about time loss during punching. Yesterday Galina lost in average 2 seconds for every SI-station punching (with good surface usually it is under the 2 seconds). This includes slow-down, punching and accelerating. If you compare flat running time without punching and several same length pieces with punching you can find time losses. 20 punching in total costs ~40 seconds. Result at 4000 m with map reading and without punching would be then about 13:23 (with pace ~3:20.8 min/km). 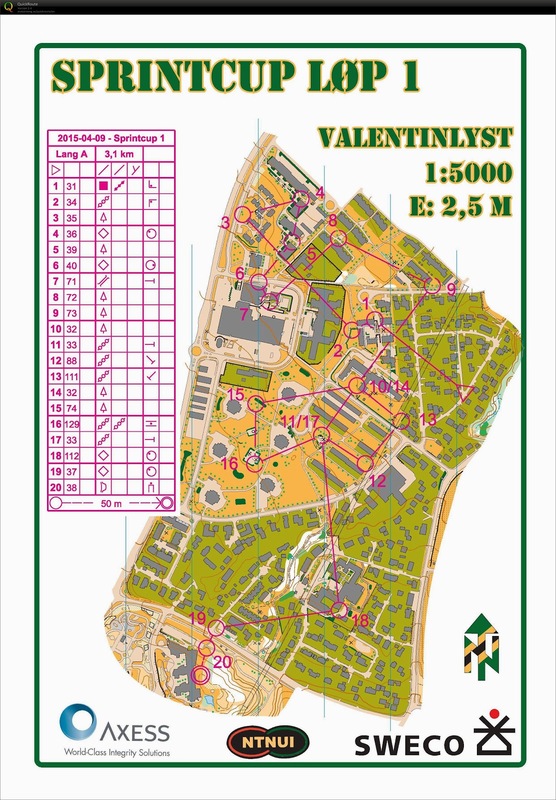 For sure best ever Sprint test is international Sprint competitions with good maps, strong competitors and interesting route choices. But what should you do without possibility to run at such competitions at particular time period? And sometimes you can not run even normal high-intensity Sprint (may be there are no good Sprint map in your town or terrain is still covered by snow). Then you can use such test to make monitoring of your shape! Also check quality of route choices after the test. 9.3 km with mashes, stones, falling trees, slopes, some thickets (and Emit-punching!) gave a perfect opportunity to test runners. I used it on the regular base. But now looks like HSK has abounded that idea. 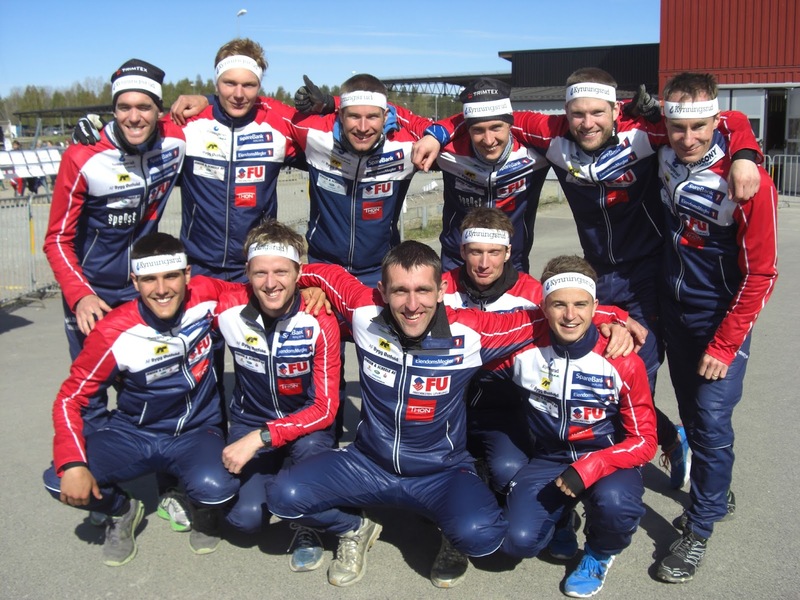 They use every second month 3000 m test (and seldom test running in Fredriksten fortress). Every 'leg' (200 m between SI-stations) Galina had to analyse 1 leg from map and make best route choice. There are 13 legs with route choice on the map. She made 12 best route choices and 1 slightly worse. Analysis of this nice course you can find here and here (thanks to Niklas Profors for links). P.P.P.S. It is always interesting to compare male and female performance. It is obviously that men are faster then women. 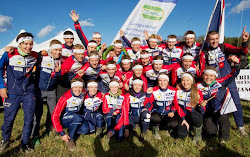 Let say there are only 10-15 girls in Orienteering with 3000 m faster then 10:30. But this is children level result among men. I can find just one regularity - when Sprint becomes more "runable" then difference increases (World Games Sprint was just running with punching). 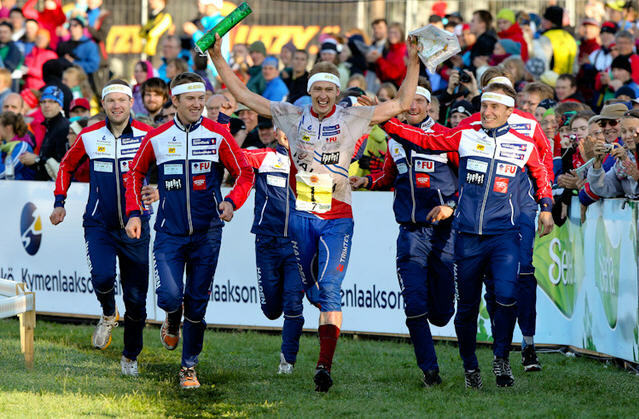 More tricky labyrinths Sprint races (EOC 2014, WOC 2014) reduces difference between men and women speed. 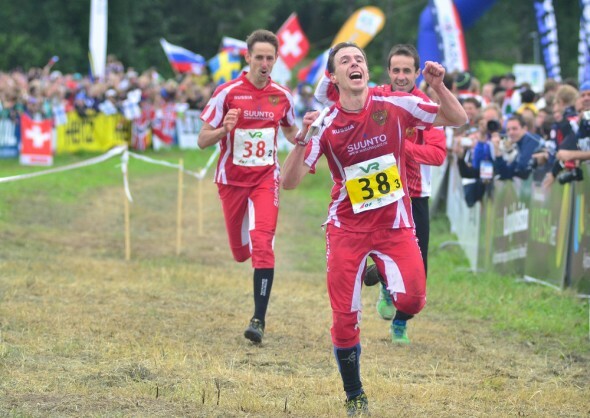 WOC-2013 was also quite tricky but I dont have a good explanation about such difference (I remember that Simone made one bad route choice, not sure that it was enough to create this gap). 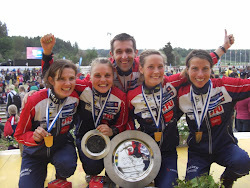 Also it is not so easy to explain 127% difference between men and women speed at World Cup event in New Zealand. There were a lot of tricky legs, may be big climb is the reason. It is possible to compare women and men with different tools and methods. One tool is IAAF score tables. According to IAAF tables male equivalent of Galinas result (14:03) is a time 11:40 (2:55 min/km). But other methods can give other equivalents. I found this an interesting read, but some of your calculations aren't completely correct. I don't know what kind of IAAF conversions you've been using, but claiming a 14:03 equals a male time of 11:40, is to say the least, inaccurate. Comparing the female 3K and 5K outdoor WRs (which are the most relevant) to that of the male, one finds significantly dissimilar time gaps between the sexes. Therefore, I think it is reasonable to assume a top female time to be 113% of that of a top male. 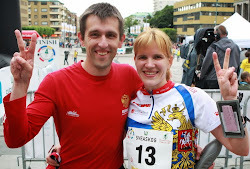 In other words, Galina's time of 14:03 equals a male time of 12:26 (3:07 min/km). Thanks for your comment, sorry dont know how to call you. IAAF developed score tables to compare results from different events and between men and women. World Record is an unique case of unique people. And IAAF ranking score tables are more suitable to compare of simple athletes. It is complicated task to compare various events in track athletics. I have found 6 different methods to compare 3000 m and 5000 m (some estimations are similar, but some - not). And there are some approaches to compare women and men as well. 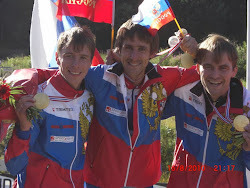 Let say, in Russia we have sport ranking with some titles - Master of sports is the elite title. At 5000 m among men is equal 14:00 and among women 16:10. But IAAF tables 2013 gave another female equivalent of 14:00 - 16:28. Score calculation of in Aging track&field athletics are based on the percentage of World Records (in particular ages) and it should be another estimation. Which way is the best one? I don't know. I see now that you've added some stats that show time differences between men and women at some WC events. This is interesting data, and I suggest you make it the main topic of another post. Now I haven't double-checked these stats, but I trust your numbers are correct, and if so, they correlate very well with what I would have assumed beforehand: The women are closer to the men when there are techincal courses, as the fastest men don't get to exploit their top speed. As the depth of top runners on the women's side isn't as great as on the men's, the percentage-wise difference between the sexes can vary a lot. So when Simone Niggli doesn't perform her best, this significantly affects the data of male vs. female speed, where as if Matthias Kyburz doesn't nail it, there's always another top runner who does. Yes, this is oversimplified, but I think you get my point. I find it most relevant to compare plain running times of the best male and female runners of the world, because this is the limit of human capacity. Top 20 in the world isn't, and let's face it, the 20th best female runner is not as close to the winner as the 20th best male runner. Neither at athletics nor at orienteering. I assume that's the reason for the (in my view) quite odd male-female equivalents of the IAAF tables you've quoted. If you as a female run 16:28 at 5K, you might be, let's say, 5000th fastest in the world a given year. If you as a male run 14:00, you might also be the 5000th fastest the same year, but the male runner in this example would still be much closer to the best (+10,9 % vs. +16,1 %). And I think this is a way better method for comparing cross-gender performance. Not comparing placement, but times. Thanks for your suggestion and comments! Sounds reasonable. what was the task during map reading? как рассчитать мне время с каким бежать данный тест? Гладко с такими результатами на 3000 и 5000 м, можно пробежать 4000 м за 12:00. Однако физиологически тяжелее бежать в режиме торможение-разгон. Кроме того, отметка "съест" где-то 35-50 секунд. Плюс работа с картой потребует замедления темпа и суммарно будет "стоить" еще где-то 20-40 секунд (в зависимости от сложности дистанции и мастерства). Т.е. грубо время будет 12:55-13:40. Конкретное значение и покажет куда двигаться для роста результатов в спринте: больше практиковать спринт-сборов (или просто хотя бы на бегу больше разбирать сложных дистанций); тренировать отметку; или больше работать в переменных режимах. Interesting Mike! 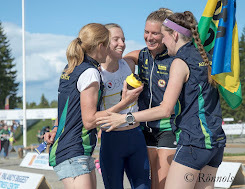 I think the point of doing a regular 3000m test in Halden is just to do a simple test of basic running capacity over 3000m to monitor some aspects of physical shape vary and to provide information about what speed to run track / road intervals at based on current shape. 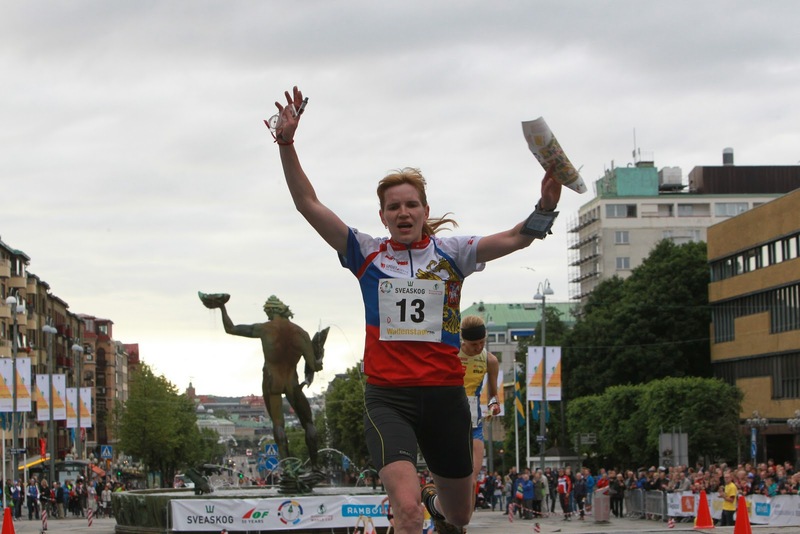 We also have some sprint orienteering sessions and races which can be used to monitor some sprint orienteering abilities. But to get to know more about the thinking behind our club training you would have to ask the current head coach. :) Anyway it looks like Galina is preparing well and will be hard to beat this year! Thanks for your kind comment! I am pretty sure that 3000 m results have zero correlations with forest O-performance (but high correlation with Urban Sprint performance). And for club focused on Tio/Jukola/25Manna it is essential to use Terrenloep instead of 3000 m.
WRE Sprint statistics 2014: Who is the best one?